Both FastComet and SiteGround are pretty popular names in Web Hosting and in fact, a lot of people especially those who are new to web hosting actually find it a little difficult when it comes to making a choice between these two. The reason behind such a dilemma is the fact that both the hosting companies offer pretty reliable service in almost every aspect of hosting. FastComet has been in the Web Hosting industry for the past six years and it deals with shared, Cloud VPS and dedicated Hosting while SiteGround is even older with a good track record for the past 15 years. It deals with shared, cloud, dedicated, and enterprise Hosting. As far as their current popularity is concerned, both the hosting companies are equally popular and extensively used. Speed and uptime are always the most important factors to consider before choosing a Hosting plan from a Hosting company. This is the reason that I spent many hours in actually testing the uptime and speed of the two Hosting companies. As a part of the test, I bought a hosting account from both the companies and hosted a demo site on each one of them. I, then closely monitored the speed and uptime using some of the best-paid tools. 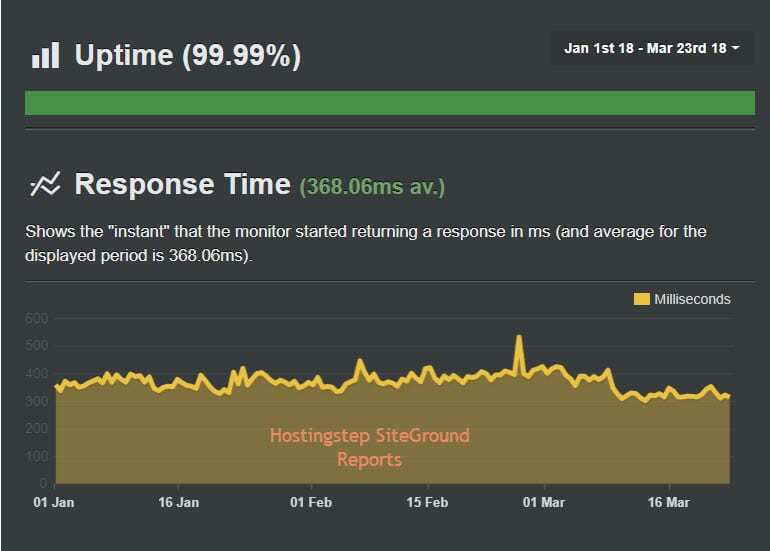 While I found SiteGround Hosting to have a speed of 344ms and an uptime of 99.99%, I found FastComet to have a speed of 286ms and 99.98% uptime. As far as the uptime is concerned, the difference has been pretty close. However, FastComet certainly has a leading edge over SiteGround as far as the speed is concerned. If we consider Support, both SiteGround and FastComet offer support via Tickets, Live Chat, and Phone. Also, I found the customer executives of both the Hosting companies to be equally knowledgeable and helpful. However, FastComet support is comparatively a little faster in responding to the users’ queries and issues than the SiteGround Support. In fact, FastComet has largely proved this over the years and it certainly gives FastComet a leading edge over the other hosting companies. While SiteGround has 5 data center locations comprising Chicago (US), London (UK),Amsterdam ( NL), Milan (Italy), and Singapore (Asia). FastComet has 8 data center locations comprising Chicago (USA), Newark (USA), London (Europe), Singapore (Asia), Dallas (USA), Frankfurt (Europe), Amsterdam (Europe), and Tokyo (Asia). FastComet is the clear winner when it comes to maximum data center locations. There is a major difference between the two hosting companies when it comes to pricing. FastComet not only allows you to start a comparatively much lower price than SiteGround for as low as $2.95/month but also, has the same price on renewals. This does not hold true for SiteGround and as a matter of fact, SiteGround renewals are pretty much high. If we consider the StartUp plan of SiteGround, it apparently seems to be a pretty cheap plan at a price of just $3.95/mo but when it comes to its renewal, it will cost you $11.95/mo. This is where you need to be a little cautious about the SiteGround Pricing. If you look at it carefully, you will actually see that $3.95/mo is the special price while the actual price is $11.95/mo and the renewals will be based on the actual price. The special price is only to entice you to buy the plan. Hence, when it comes to pricing, the FastComet pricing is not only much transparent but also, a lot cheaper than the SiteGround pricing. In FastComet, the renewal price stays the same as the buying price. Although there is no denying the fact that both SiteGround and FastComet are pretty reliable companies in terms of service, there is a huge difference when it comes to the pricing factor. A lot of new users actually get pretty deceived by the SiteGround special price and easily get caught up with high renewals. 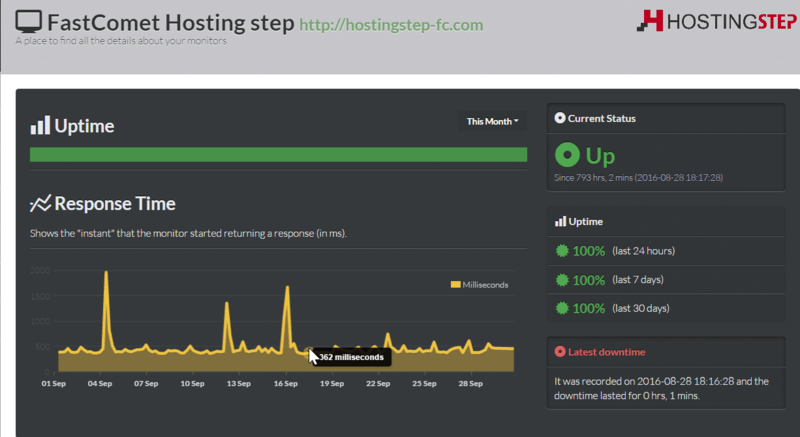 On the contrary, FastComet has emerged as a great rescuer for those users who badly wanted to break out of the high renewals of SiteGround Hosting. Also, FastComet has a very knowledgeable and fast Support. Another great thing about the FastComet is the fact that it offers a free domain on all its plans which even include its most basic plan. SiteGround does not have this feature as of yet.